Listen, do you want to know a secret…. ? My secret will indisputably change your eternal destiny. It has changed countless men and women.. but only those prepared to change! And this is only a secret for the believer, for the natural man is dead in sins. Now this is the thing if you are prepared to change your heart, God will change your mind. But God will never change your heart until you change your mind. Now, this astonishing secret is openly hid within the pages of Hebrews. 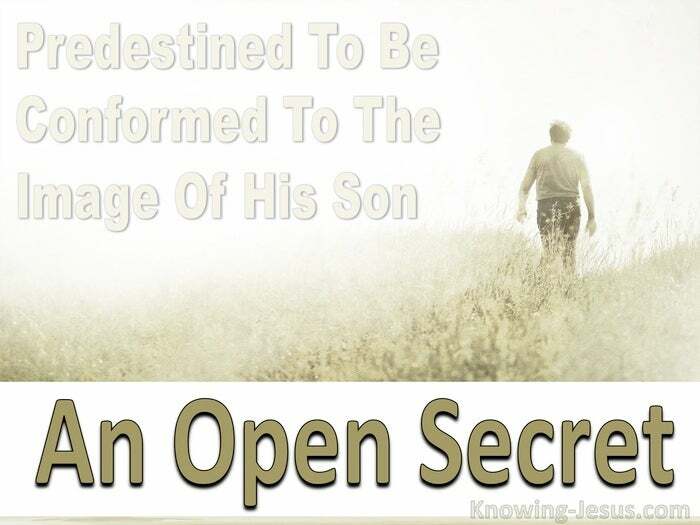 The knowledge of the Son of God is the secret of the true Christian life. Being conformed into His likeness is the secret to which all have access. This is what God wants for all believers – but not all choose this path. The glory of the Son of God is demonstrated in the life of the Lord Jesus, and with our permission… He will change each of us to be like Him, but we can resist and remain carnal, OR submit and become like Him. We can quench the work of the Spirit in our life to our detriment, or we can permit Him to work by submitting to His leading – to our advantage. For 4000 years God had been declaring His glory to man through nature. For 4 millennia God had spoken to man through the words of the prophets of old. But at the end of these days.. God has spoken to us in His Son – and it behooves us to listen carefully to His voice. Knowledge of the Holy is only truly translated to us through one medium – the glory of God is only fully expressed through the person of Jesus Christ. The creative power of God gives light and life and hope to a believing soul, and God points to Jesus when He declared: hear Him, from His fiery throne. Hear Him, we are instructed. Listen to Him, we are directed. God never changes but He alters His mode of communication to man. In the past God spoke through the prophets and worked through Israel.. and His love for Israel never changes. And later He speaks through His Son and works through the Church – and His love for the Church, which is His body, never changes. In the Old Testament He gave man a method of worship – a preparation. In the New Testament we worship in spirit and truth – a fulfilment. The old was not meant to last.. it was destined to pass away. The new was the fulfilment of the promise – a complete revelation. The old was not meant to satisfy.. but to stir expectation in the human heart. The new was the full revelation of Himself in Christ: I and My Father are One. 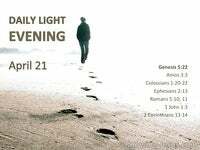 And for 4000 years God prepared the way for the dawning of the Day-spring. And 2000 years ago the Day-star from on high visited man. 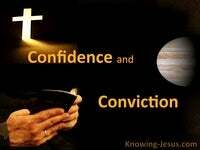 And knowledge of this Son of God is the secret given to the believer in Christ. God desires to take up full residence in all those that believe in His name – the name of the only begotten Son of God: full of grace and truth. 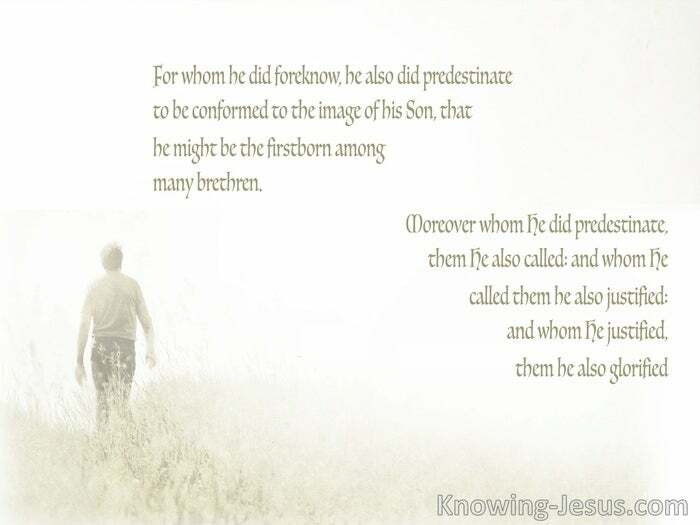 Being conformed into His likeness is the mystery to which all believers have access.. but every believer has a choice – to be conformed or to resist His work.. to submit or to resist.. to allow the Spirit to work or to hinder His child training. The book of Hebrews gives a stark warning of those in the past.. they resisted. It warns of neglecting salvation, falling short of His promises.. fleshly lusts. It warns of sloth and backsliding, of refusal to be conformed into His image. It gives consequences of yielding to the flesh; lack of faith; resisting the Spirit.. but it also gives a wonderful list of those that lived by faith and not by sight: those that looked for a city, Whose Builder and Maker is God Hebrews 11:10. 6000 years ago God set in motion His plan for the perfect Man. Today believers are being conformed into the likeness of Himself.. in Christ.. but here’s the thing – First, God leaves the choice of believing in Him to the unsaved individual: believe on the Lord Jesus Christ and you will be saved from your sins.. a choice that affects the future destiny of a man – salvation of the spirit – being born again – regeneration. But He also leaves the choice of being made into Christ likeness in this world to the believer:- allow the Spirit of Christ Who lives in you and work through you – salvation of the soul – that’s sanctification – being conformed into the image and likeness of Christ, OR resist this child-training and quench the Spirit.. either go on to maturity or backslide into infancy. This is a choice that will affect the eternal position and destiny of a Christian, and God outlines in minute detail what needs to be done in His Word. But you must submit to Him entirely and He will change you – entirely. If you are prepared to change your heart.. God will change your mind, but God will never change your heart, until you change your mind. Listen, I have told you the open secret, discovered in the pages of Hebrews.. a secret that will indisputably change your life. Take heed to the warnings in its pages. Follow the example of men and women of faith who trusted God.. men and women that trusted despite devastating circumstances and impossible situations. Do not neglect so great salvation. Do not fall short of the promised rest. Be careful not to be slothful, or stand still who fall away. Do not sin wilfully or draw back to perdition and don’t ignore the important sanctification process. Remember, it all depends on faith and faithfulness. Do not fall short of the grace of God by refusing to listen to Him. Take heed of Israel’s shortcomings and loss – and be warned. Remember – He will change your heart if you just change your mind. But you must first be prepared to change your mind, and if you are… just let Him know.